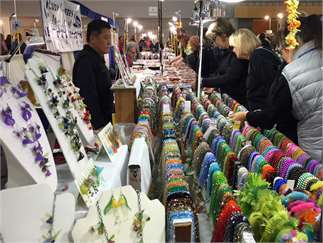 November 2-4, 2018, Lane County Events Center, 796 W. 13th Ave., Eugene. Fri. 12pm-6pm, Sat. 10am-6pm, Sun. 10am-5pm. Admission $7 weekend pass. Free parking! Fine jewelry, precious & semi-precious gemstones, millions of beads, crystals, gold & silver, minerals & much more at manufacturer’s prices. Over 70 exhibitors from around the world. Jewelry repair & cleaning while you shop. Free hourly door prizes. For more info, visit www.gemfaire.com or call (503) 252-8300 or email: info@gemfaire.com.